We now have two refurbished picnic benches in the orchard in front of the Village Hall. The previous two had out lived their lifespan and were beyond repair. 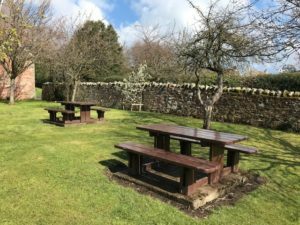 The Community Council has recovered the cost in full from East Lothian Council. This entry was posted in Announcements, Community Council on April 5, 2019 by Admin. Minutes from the February 2019 Community Council meeting are now available on the GMCC Meetings and Minutes page. This entry was posted in Community Council on March 25, 2019 by Admin. This entry was posted in Announcements, Community Council on March 13, 2019 by Admin. This entry was posted in Community Council on March 11, 2019 by Admin. There’s lots of useful information on keeping yourself safe in this ‘Safer communities, safer Scotland’ booklet, giving practical tips on how to keep you, your family and your community safe – from protecting your home and possessions, to helping your children enjoy the benefits of the internet in safety. 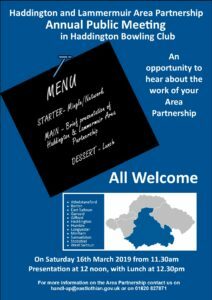 The Haddington and Lammermuir Area Partnership Annual Meeting will be held on 16th March. All are welcome. This group has an impact on our community; it funded our shelter in the park and is currently completing a study on rural transport for Yester Primary children. If you would like to hear more about the Partnership’s work, you are welcome to attend the meeting. This entry was posted in Community Council on March 1, 2019 by Admin. It is the Council’s intention to undertake carriageway resurfacing work on B6368 Sidegate, Haddington, commencing Saturday 2nd March for approximately 2 days, weather permitting. In order to comply with current Health and Safety Legislation, it will be necessary to close the road to through vehicular traffic from 8am to 5pm both days. Emergency vehicle and pedestrian access will be maintained at all times. No parking will be permitted on the affected section (From A6093 Hardgate Junction to Maitlandfield Hotel). A suitable diversion route will be signed accordingly. Restricted local access will be retained where practicable, however the direction of access/egress will be determined by the contractors’ whereabouts. This entry was posted in Announcements, Community Council on February 27, 2019 by Admin. 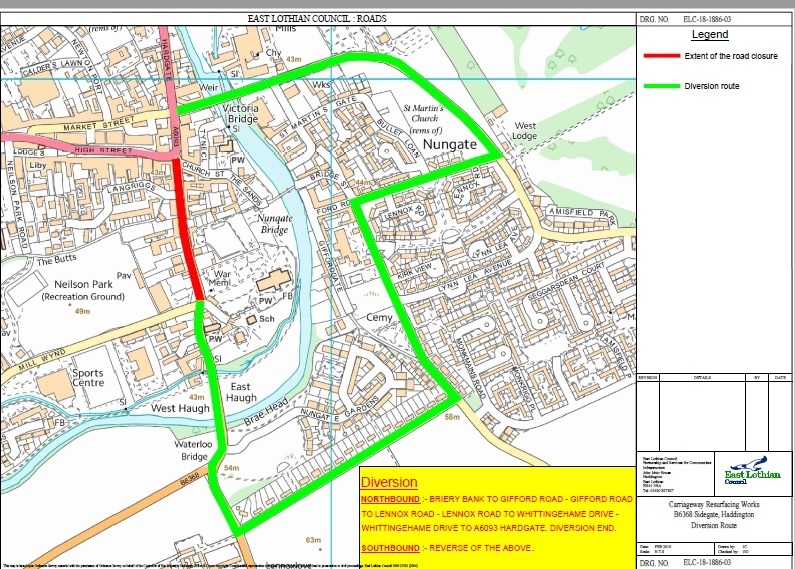 East Lothian Council will be undertaking drainage improvement works on the Castle Moffat road from Tuesday 19th February 2019 for approximately four days, weather permitting. To comply with current health and safety legislation, it will be necessary to close the road to through vehicular traffic from Wednesday 20th to Friday 22nd February between 9am and 4pm daily. No through access will be permitted between the entrances of the Scottish water treatment works during these times. 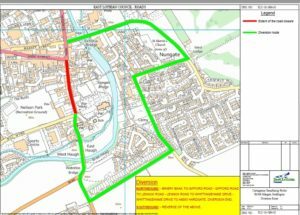 A local diversion route is shown in the attached map. Vehicles wanting to travel north to Garvald will have to travel south to the B6355 then along to the B6370. Vehicles wanting to travel south from Garvald to Castle Moffat will have to use the same diversion route (see attached drawing EL19762118-003). Emergency vehicle access will be maintained at all times. This entry was posted in Announcements, Community Council on February 18, 2019 by Admin. Do you know how to protect yourself from financial harm, one of the most common forms of harm? Come along to a free drop-in event on 19th February 2019 to find out more about how to keep yourself and your family safe. You will be able to talk to representatives from a range of organisations including Trading Standards, Citizens Advice, Police Scotland, Neighbourhood Watch Scotland, Royal Bank of Scotland and the East Lothian and Midlothian Public Protection Office about what you can do to protect yourself. This entry was posted in Community Council, Events on February 12, 2019 by Admin. Meeting minutes for the December meeting of Garvald and Morham Community Council are now available on the GMCC Meetings and Minutes page. This entry was posted in Community Council on January 24, 2019 by Admin.